Congrats to Team Unleashed Saraland Fire Rescue on winning the 2019 team competition and to Jake Lanier and Ana Ruzevic on winning the 2019 individual male and female title! 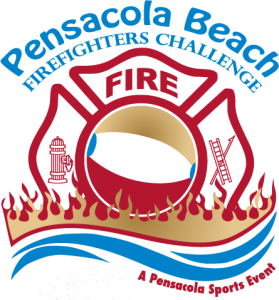 Pensacola Sports is excited to host the fourth annual Pensacola Beach Firefighters Challenge. This event will test the strength, agility, teamwork, and skills of firefighters as well as provide a fun, family friendly event for participants and the public. Unique to this event and as an added level of difficulty, all the skills and competition will take place on the beautiful white sand of Pensacola Beach. Tag your instagram photos #pensacolabeachfirefighterschallenge to see your photos on our site!